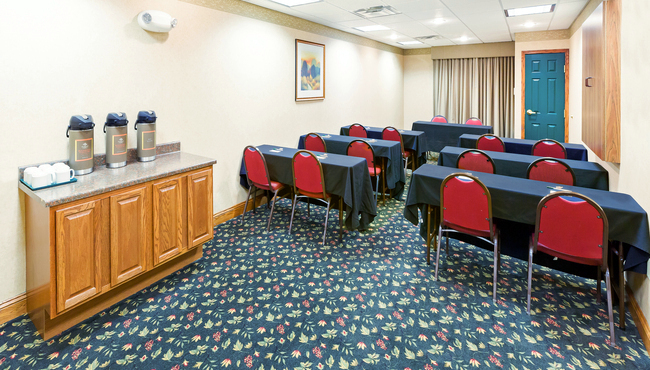 The meeting space at the Country Inn & Suites, Chambersburg, PA lies near I-81 and is available for rental for events of up to 20 people. Enjoy professional catering recommendations, easy access to many local businesses, free Internet, and complimentary coffee and water service. You can also take advantage of a free customized Web page to provide up-to-date information for your guests.